Where you can hear my shows & DJ sets on a regular basis. "...Great mix of music. Just brilliant!!" "...Great variety of music, thoughtful selection, and faithful production makes this a podcast sure to stay in your iPod for a long time. What are you waiting for? Download it now and listen to it on your next commute!" While I was DJing at Hex In The City, I turned my hand to creating Fadeout, a monthly 'music-only-no-chatter' podcast mid 2004, mainly as an online representative of the music played at Hex In The City and also to showcase new tracks by unheard artists. I then took the step to present it as a weekly radio show on Rock 247 Online in 2007 after being approached to 'do it properly' by a well-spoken bloke called Nigel who co-ran the station. 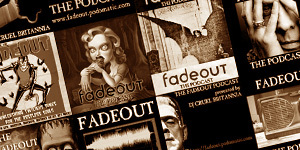 Fadeout suddenly reached more ears than ever before, enabling me to land more guest DJ slots and generally 'get my name out there' as a point of contact for artists within the goth scene who had an album to promote. 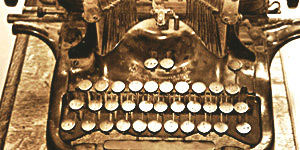 Eventually, Rock 247 Online folded as a station in late 2008. Fadeout moved over to Nigel's new station Phoenix Radio, and since then I haven't looked back. Fadeout has also included several interviews with some incredible bands & artists in its time such as The Fields Of The Nephilim, The Cruxshadows, Peter Murphy, Toyah Willcox and more. 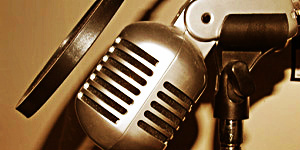 Check out the podcast playlists on the right to download the shows from previous weeks. You can also dive further back in time by heading to the Downloads page and trawling Fadeout shows of old. I wanted to create a show which focused primarily on the goth/darkwave/deathrock scenes more than previously, and to leave the broader spectrum of music that I air completely in the hands of 'Fadeout' on Phoenix Radio, where it all began. With that I bring you The Haunted Wardrobe; an hour of great tunes from the aforementioned genres, with a little more 'spook' in the mix.